After Queen Elizabeth I of England died in 1603, King James VI of Scotland inherited the English throne and became King James I of England. It was a Union of the Crowns, but not yet of the nations. Each country still kept their own parliaments and national flags - the red St George's cross and the white St Andrew's cross. On 20 October 1604 James I proclaimed a new title for himself as 'King of Great Britain'. On 12 April 1606, the National Flags of Scotland and England were united for use at sea, thus making the first Union 'Jack'. 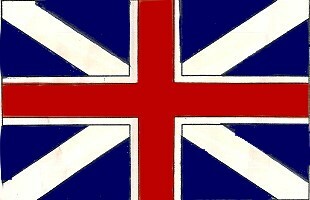 However, the old flags of England and Scotland continued to be used by their respective countries on land. A royal decree declared that the ships of the Kingdom of Great Britain "shall bear on their maintops the red cross, commonly called St. George's cross, and the white cross, commonly called St. Andrew's cross." This festival celebrates the birthday of Lord Rama, seventh incarnation of the god Vishnu. On his birthday, temples are decorated and the 'Ramayana', the story of Rama, is recited.